Greater love hath no man than this, that a man lay down his life for his friends. Ye are my friends, if ye do whatsoever I command you. Henceforth I call you not servants; for the servant knoweth not what his lord doeth: but I have called you friends; for all things that I have heard of my Father I have made known unto you (John 15:13-15). And as you wish that others would do to you, do so to them (Luke 6:31 ESV). Don’t befriend angry people or associate with hot-tempered people, or you will learn to be like them and endanger your soul (Proverbs 22:24-25 NLT). Whoever walks with the wise becomes wise, but the companion of fools will suffer harm. (Proverbs 13:20 ESV). Two people are better off than one, for they can help each other succeed. If one person falls, the other can reach out and help. But someone who falls alone is in real trouble (Ecclesiastes 4:9-10 NLT). 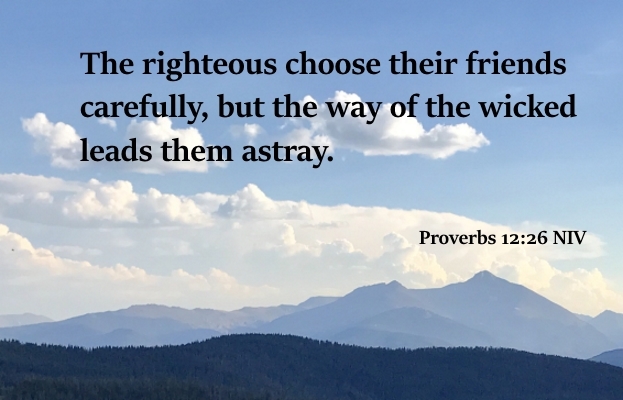 The righteous choose their friends carefully, but the way of the wicked leads them astray (Proverbs 12:26 NIV). A troublemaker plants seeds of strife; gossip separates the best of friends (Proverbs 16:28 NLT). The heartfelt counsel of a friend is as sweet as perfume and incense (Proverbs 27:9 NLT). So encourage each other and build each other up, just as you are already doing (1 Thessalonians 5:11 NLT). And the Lord restored the fortunes of Job, when he had prayed for his friends. And the Lord gave Job twice as much as he had before (Job 42:10 ESV). A friend is always loyal, and a brother is born to help in time of need (Proverbs 17:17 NLT). 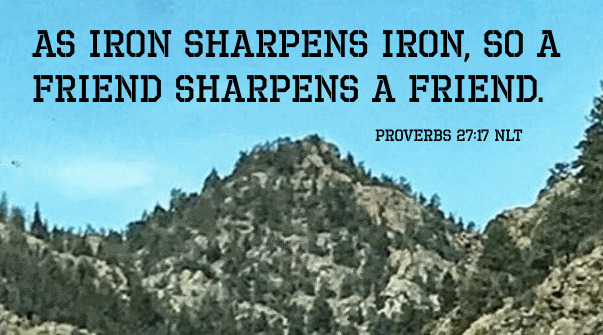 A man of many companions may come to ruin, but there is a friend who sticks closer than a brother (Proverbs 18:24 ESV). Be kind to one another, tenderhearted, forgiving one another, as God in Christ forgave you (Ephesians 4:32 ESV). This is my commandment, that you love one another as I have loved you. Greater love has no one than this, that someone lay down his life for his friends. You are my friends if you do what I command you. No longer do I call you servants, for the servant does not know what his master is doing; but I have called you friends, for all that I have heard from my Father I have made known to you (John 15:12-15 ESV). Let us think of ways to motivate one another to acts of love and good works (Hebrews 10:24 NLT). Be devoted to one another in love. Honor one another above yourselves (Romans 12:10 NIV). Draw near to God, and he will draw near to you (James 4:8 ESV).